1 Mata Hari | This Blog Rules | Why go elsewhere? Even if the media insists on portraying women, sometimes, as naïve and vulnerable creatures who need all the help they can get, popular lore and culture also occasionally depicts women as devious and dangerous. There are many ways in which women can be dangerous and deadly: either by being downright skilled in battle and badass, or through more subtle means pertaining to seduction. A femme fatale is a woman you can’t resist, that uses her charm and feminine allure to obtain her often hidden purpose. Although typically conceived as a villain, a femme fatale may be a victim herself, or may try to help others or the greater good through her questionable methods. So while calling femme fatale figures evil may be an overstatement, morally ambiguous would be a more appropriate label. If the femme fatale archetype would be a computer game character, it would display a chaotic neutral alignment, let’s say. Ever since Delilah, the biblical femme fatale that continued to inspire people to this day (if Tom Jones is to be given credit for trying), the figure of this somewhat ruthless seductress is still a fascinating topic for a whole array of narratives. Here are a few of the most famous femme fatale figures that history and fiction have to offer. She is possibly the best known femme fatale figure that was also a real historical person and her story was so scandalous and well-known to the masses in the WWII period that it would just be improper not to start this short list with her. 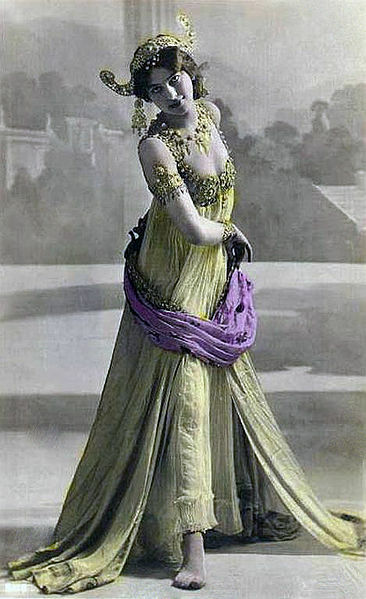 Mata Hari (born Margaretha Geertruida Zeele) was a Dutch educated woman who moved to the Dutch East Indies after getting married young (as was the custom). There, disappointed in her abusive husband, she found solace in studying the Indonesian and Malay language and arts. After a while, she moved to Paris and became an exotic dancer under the stage name of Mata Hari (which means “sun” in Malay). She is considered to be one of the first modern dance artists and the first one to attempt her kind of oriental-inspired moves and costumes, and with such a high degree of skin exposure. In other words, the woman was scandalous. The scandal grew even bigger when, during the WWWII, she was arrested and executed by the French troops for being a secret agent and spy for the German forces. The truth of the accusation remains unknown, but the tale contributed to her femme fatale aura and lit up the imagination of the public to this day. What would a list of famous femme fatale figures be without the original one, Delilah? Delilah, unlike many of the Bible’s characters, wasn’t yet proven to be based on any historical person and therefore passes as completely fictional. Her very name means “[she who] weakened” and her story is told as a warning to men not to fall prey to devastating charms, or else look what might happen. The infamous deed that put the “fatal” in the femme fatale in this case is the fact that she betrayed Samson, the powerful man who loved her, and cut his hair thus magically removing all of his strength. 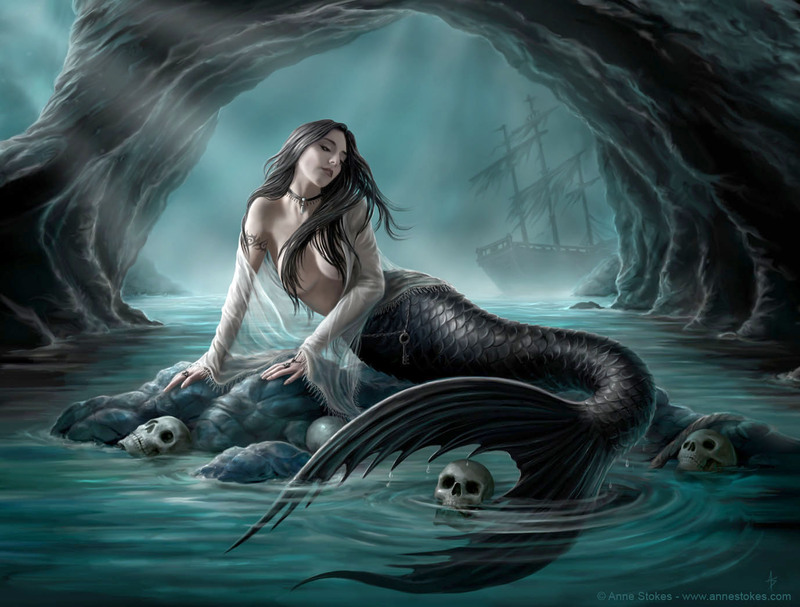 Another popular theme that continues to be prominent in popular culture today is the siren. Everyone’s familiar to the beautiful sea maids with a lower fish body that sing sailors to their deaths, but not many know that folklore sometimes meets historical rumors with surprising creativity. For example, the whole branch of Luxembourgish royalty claimed, in old times, to have Melusina, a powerful river mermaid, as their ancestor. Together with her husband, Count Siegfried, they founded the city of Luxembourg’s castle and court. If her supernatural origin were to be true, that would make her the ancestor of not only Luxembourg, but of most other branches of European royal families as well, including the ruling British Queen Elisabeth. Puts a nice perspective on Prince Harry’s fascinating charms, doesn’t it? This time, we’re exploring Irish and Welsh mythology. Although Morgan le Fay is mainly known as King Arthur’s evil half-sister and sorceress, in Irish lore she is called Morrigaine and she’s something between a banshee and the leader of the (mostly good) fairies. No list of famous femme fatale figures could be complete without the lovely temptress who doomed and bore us all: Eve and her lovely red apple. The scene of Adam’s seduction has been the subject of numerous paintings and literary pieces and continues to fascinate to this day.